How many times can a person get chickenpox? 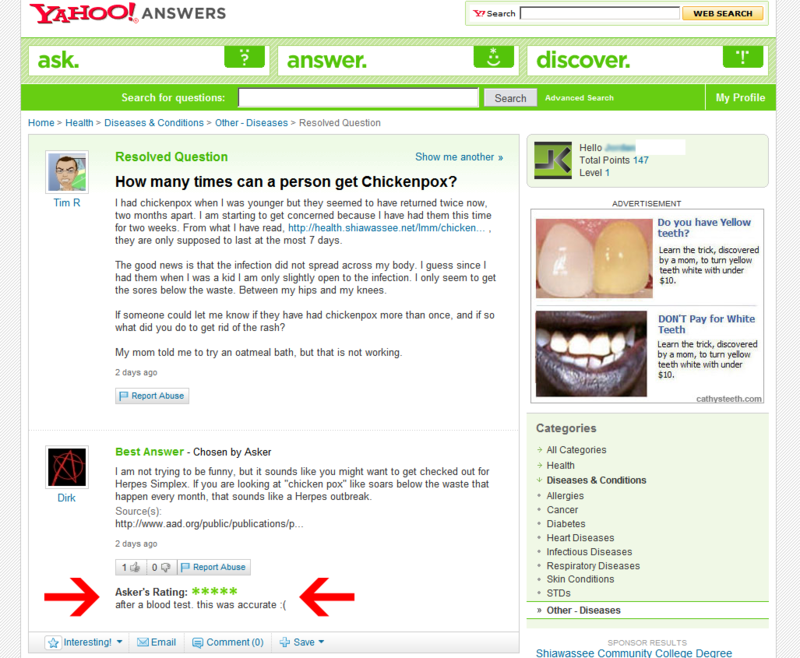 | Yahoo Answers [PIC] - Give Up Internet! SORES. WAIST. God, the whole world’s going to hell in a handbasket. How do people not know the difference between soars and sores? And waste and waist?